Yesterday, the Dallas Morning News reported that the state of Texas joined other states including Alabama, Arkansas, Louisiana, Utah, New Hampshire and Wisconsin in efforts to defund Planned Parenthood from receiving all state taxpayer dollars. 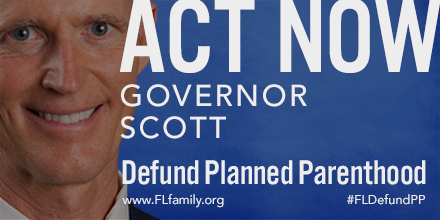 Now it’s Governor Scott’s turn. If Texas can do it, so can Florida. 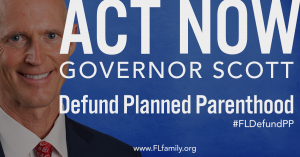 Contact Governor Scott and ask him show pro-life leadership by terminating the Medicaid contract with Planned Parenthood in Florida and cut Title X funds to Planned Parenthood in Broward and Collier Counties. 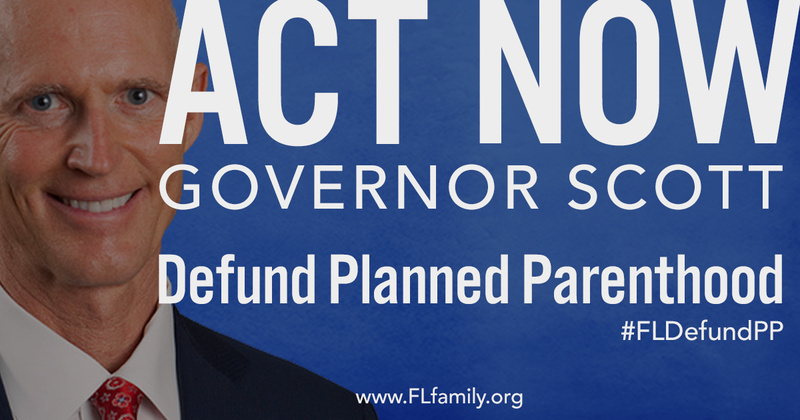 Support the #FLDefundPP campaign by donating HERE.